The Alliums are some of the most ancient cultivated crops and include onions, garlic, leeks and other related plants. 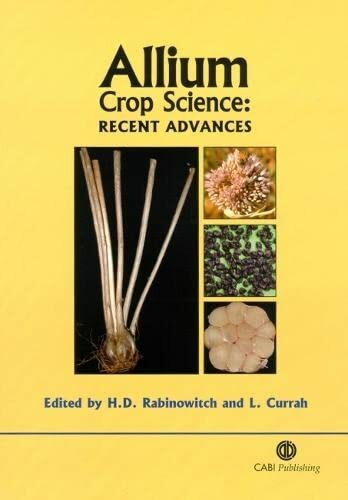 The primary aim of this book is to bring together, in a single volume, up-to-date knowledge obtained by a variety of scientific disciplines, from the basic molecular level, to application in the field, of the allium crops. It contains commissioned chapters on topics that have shown major advances particularly in the last ten years such as molecular biology, floriculture and agronomy. Contributors include leading world authorities from Europe, the USA, Japan and New Zealand.